The area around the Provan Hall gateway offers a fantastic mix of heritage and nature - right on the doorstep of Easterhouse. The fantastic medieval Provan Hall - one of the oldest surviving buildings in Glasgow - has many tales to tell about the area over the last 500 years, while Bishop Loch and the nearby Gartloch Pools are some of the best wetland habitat the park has to offer. The attractive, accessible Easterhouse Woods are great places for walking and cycling. 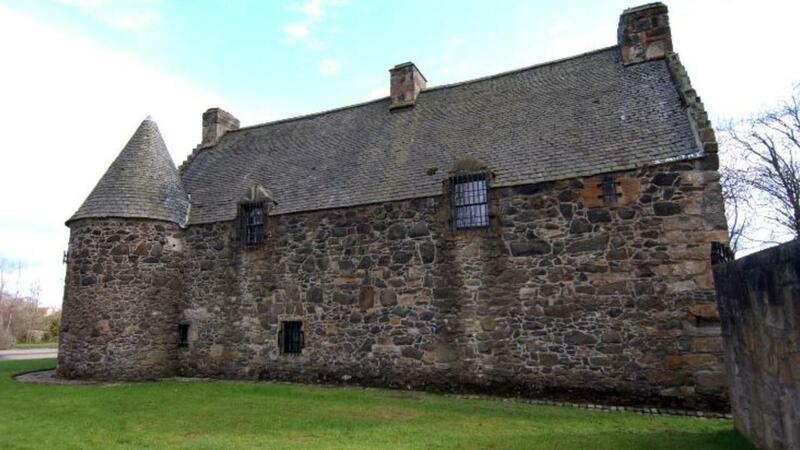 In the landscaped grounds of Auchinlea Park, and with the oldest building dating back to the 1460s, the two houses and courtyard of Provan Hall are one of the best-preserved medieval fortified country house in Scotland. Provan Hall is closely linked to many events in the history of Glasgow, and the was at the heart of the Bishop's Estate that once stretched from Shettleston to Springburn and Bishop Loch. 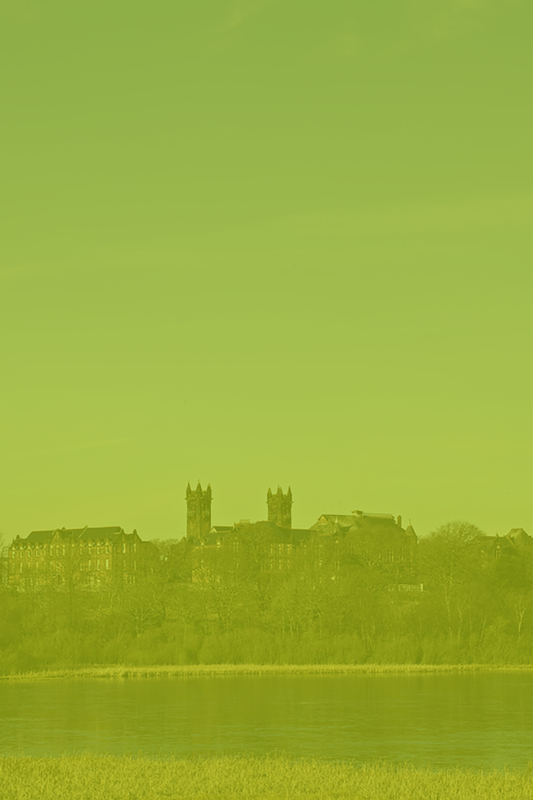 Find out more about Provan Hall and Auchinlea Park. Bishop Loch is one of two 'Sites of Special Scientific interest' in the Seven Lochs., and a number of very rare birds have been spotted here, including marsh harrier, osprey and bittern. The woodland nature reserve at Bishop Loch is great for woodpeckers, water vole and roe deer. The country residence of the Bishop of Glasgow stood on the edge of Bishop Loch from the 14th Century until it was destroyed in 1579. An archaeology dig in 2008 found remains of a moat and wall, as well as medieval coins and pottery. The towers of Gartloch Hospital are a central feature of the Seven Lochs. 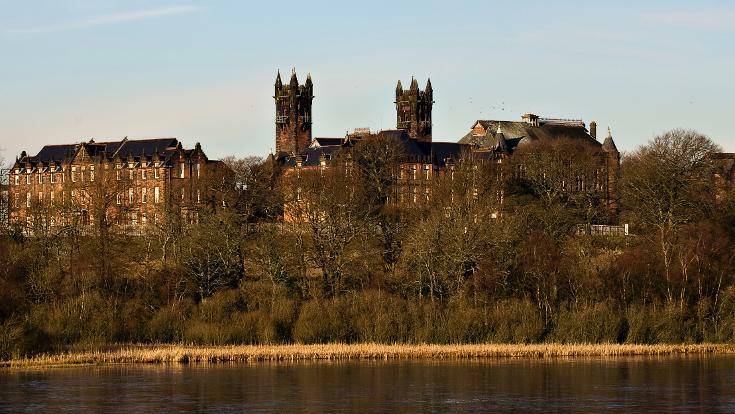 Built in 1892-96 as the 'City of Glasgow District Asylum for pauper lunatics' the hospital was in use until the 1980s. The remaining buildings are now being converted into housing as part of a major new development. Just a few minutes' walk from Provan Hall gateway, Todd's Well woodland may be small, but the mix of trees and hedgerows make it a great place for nature. It's a short walk around the woodland, and although some paths are quite steep there are great views north over Cardowan Moss to the Campsie Fells, and east to Bishop Loch and beyond. Todd's Well and the neighbouring farmland are a hotspot for seeing roe deer in the Seven Lochs. Commonhead Moss local nature reserve is Glasgow's largest area of lowland raised bog. This wetland wilderness hosts an amazing variety of wildlife, including insect-eating sundew plants, fast flying dragonflies and fascinating fungi. Birch woodlands around the bog are home to two rare butterflies - the green hairstreak and the small pearl-bordered fritillary. 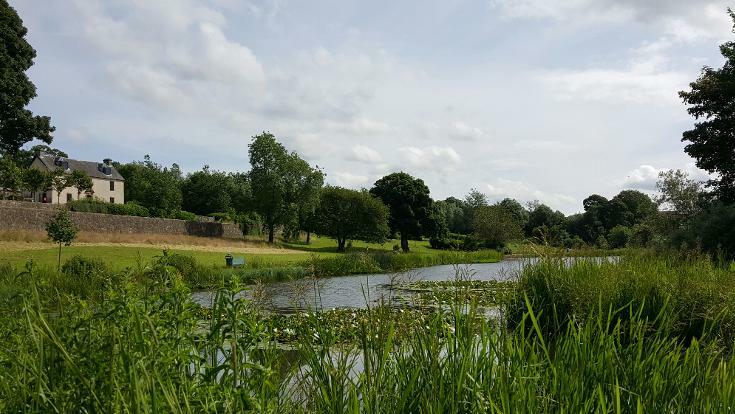 Auchinlea Park is one of the more formal parks in the Seven Lochs area - and is easy to get to from Glasgow Fort shopping centre if you need an escape from shopping. At Provan Hall you can learn about Glasgow's medieval past and some of the colourful characters associated with the area. 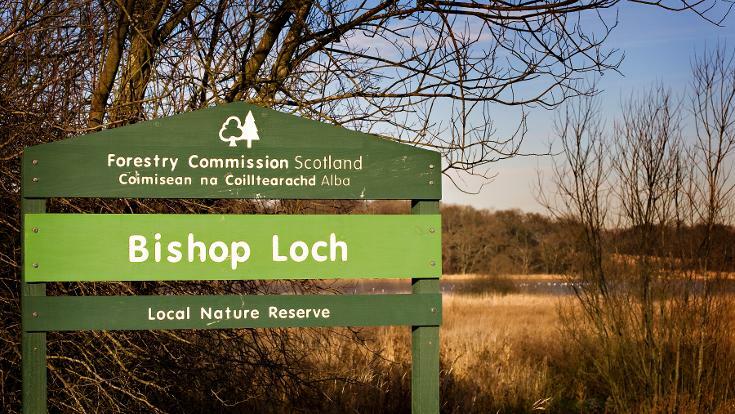 Bishop Loch local nature reserve, Lochend Burn and Todd's Well are looked after by Forestry Commission Scotland. New and upgraded paths make these woodlands a great place for walking and cycling. 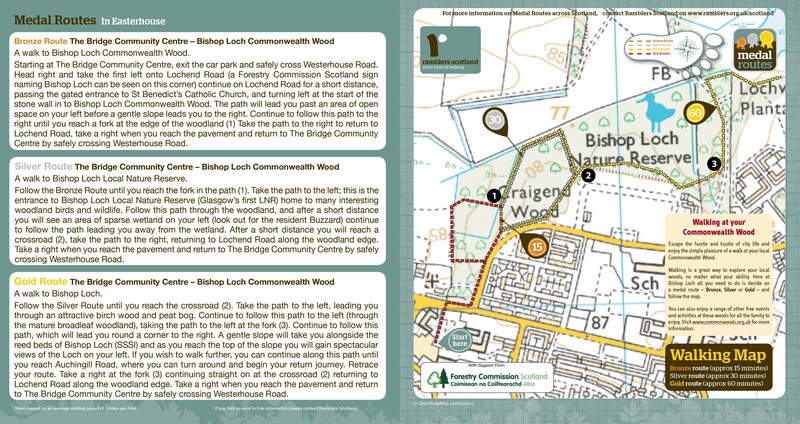 You can find more information and maps here, or download a map of three medal routes at Bishop Loch. 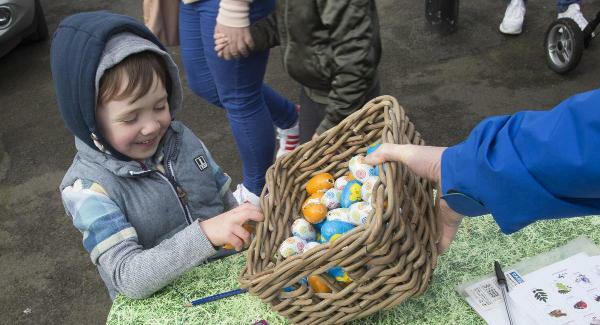 Join the Friends of Provan Hall for an eggciting afternoon of seasonal treasure hunts, crafts activities, and games. Venue: Provan Hall, Auchinlea Road, G34 9NJ. Family Explorer Walk - Incr-edible plants! Join in our family friendly walk exploring incredible edible plants. Please bring a picnic lunch. 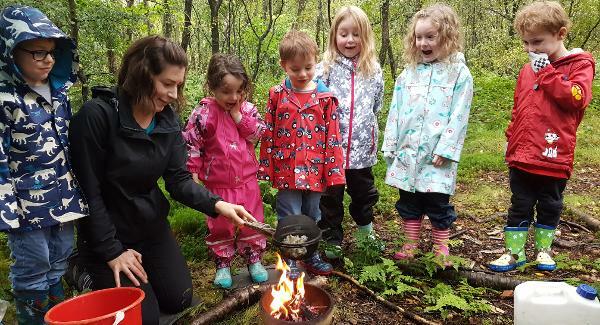 Venue: Bishop Loch Woodland. Meet on Lochend Rd at Dubton St, G34 0NN. Provan Hall is at 80 Auchinlea Rd, Glasgow G34 9NJ. From Easterhouse station it is a 30 minute walk / 15 minute cycle through Blairtummock Park to Provan Hall. Many local and express buses stop at Glasgow Fort, which is just a 5 minute walk away. For more information visit Traveline Scotland.